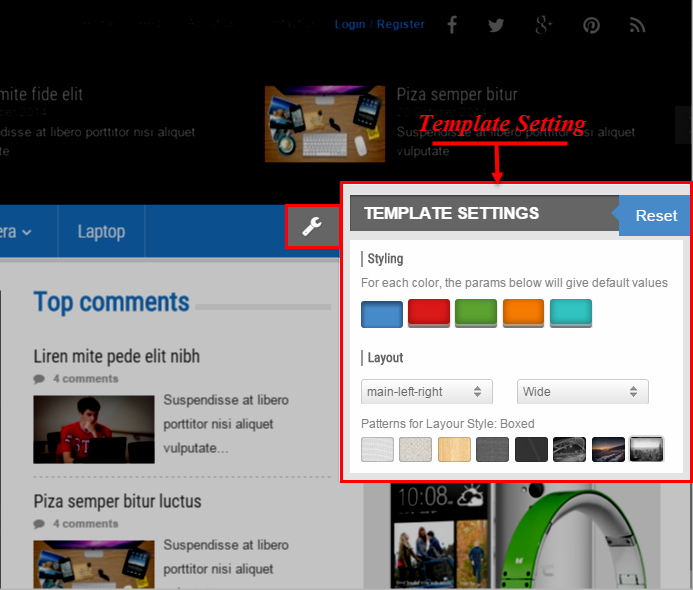 In this article, we will guide you How to enable/ disable front-end Template Setting. 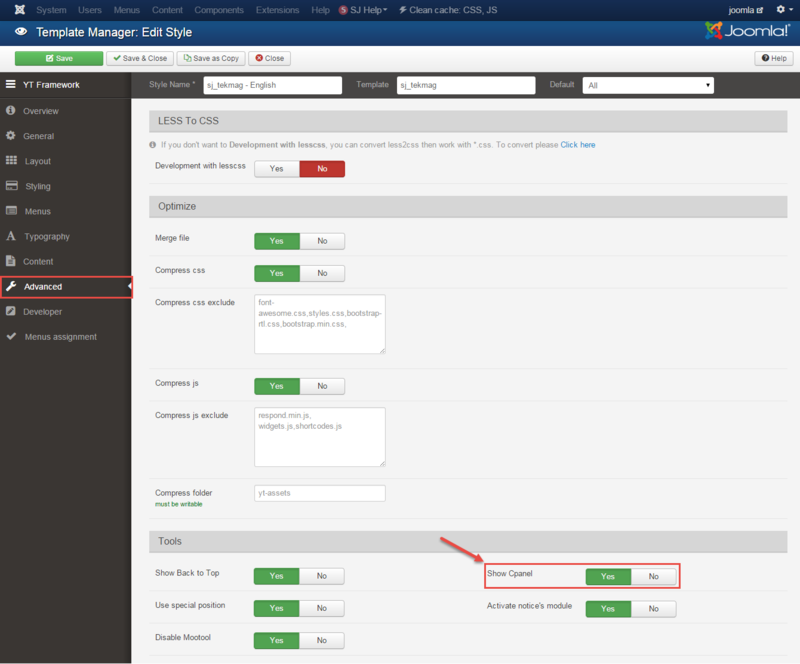 Every templates in Joomla have “Template Setting” (Cpanel) on the site. For Example: Enable/disable front-end Template Setting in SJ Tekmag Template. Step 3: You need to click “Advanced tab” >> Find “Show Cpanel” in “Tools” parameter. Select “Yes/No” if you want to enable/disable Cpanel. Step 4: Click the “Save” button.